Kitchens require a very thorough and comprehensive cleaning, that in most cases only professionals can provide. If you think your kitchen needs a professional touch, please call our company. We are a leading cleaning services provider and we are offering you to hire our perfect kitchen cleaning service, second to none here in Highbury. 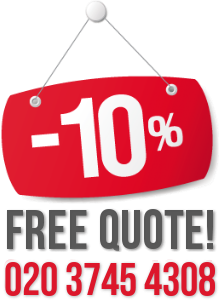 What we are offering you is a convenient service, affordable prices and excellent results. Do not miss this chance to get your kitchen ideally cleaned and sanitised. Call us now. 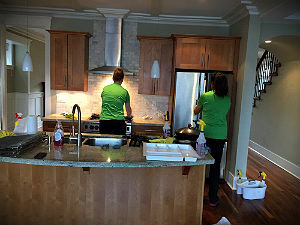 By choosing our company for your kitchen cleaning service provider, you are choosing the best care for your kitchen. Our cleaners will not only perfectly clean your kitchen in detail, they will also disinfect and deodorise it. Kitchens are generally very prone to bacteria and germs, and we assure you that when our cleaners are done, your kitchen will be spotless and germ-free. 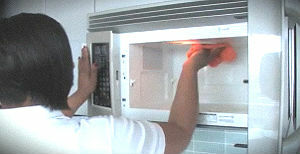 Our cleaners will clean your kitchen appliances’ exterior, paying special attention to your microwave and fridge. They will wipe down all counters and cupboards, they will cobweb, clean your extractor fan, wash your kitchen windows internally, and they will of course dust, vacuum and mop thoroughly. Our cleaners are detail-oriented and experienced, and they know which places in the kitchen need more attention paid to. They will clean and sanitise your sink, counter, doorknobs, etc. Give us a call any time for an appointment. Let us give you the best kitchen cleaning service in Highbury, N5 that you will find. We are offering you an excellent and efficient kitchen cleaning service for a very reasonable price. Call us now.